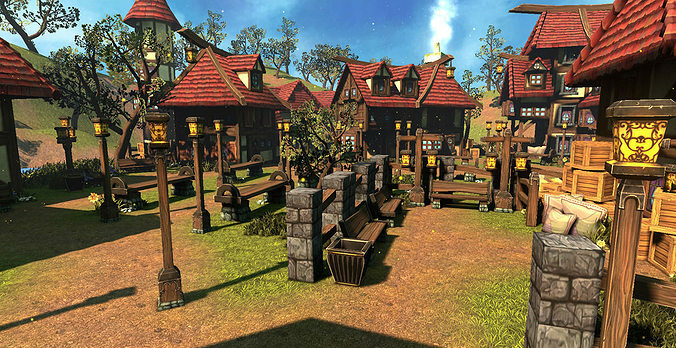 The Cartoon Village pack contains 96 high quality medieval themed cartoon 3D models. You will find everything you need to build an amazing cartoon village: houses, houses parts (allowing you to build the houses you want, in your game engine or in your modeling application), props, flowers, trees, grass, rocks and more! This pack is highly optimized: All assets are using a total of 6 textures. All the textures are handpainted. The pack also include 2 tiling textures for the ground: the grass and mud you can see on the screenshots.